The biggest challenge is crude oil's sustained rally - it is nearing $80 a barrel - stoking inflationary pressures and consequent price hikes in the sector. The resurgence in the domestic consumer goods market appears to be getting stronger by the day. A broader base of companies from Hindustan Unilever (HUL), Dabur, Emami, Bajaj Corp, Nestle, GSK Consumer, Asian Paints, and Godrej Consumer (GCPL) have reported good Q4 numbers, aided by a lower base as well as improvement in rural demand. While green shoots first began to show in Q3 of 2017-18, the base was smaller in number. This has clearly widened now. HUL, the country's largest consumer goods firm, beat street estimates Monday on all counts, with net sales and net profit up 11.1 per cent and 14.2 per cent, respectively. The company's volume growth came in at 11 per cent for the second straight quarter, pointing to a more sustained recovery in the consumer goods market, Abneesh Roy, senior vice-president, institutional equities, Edelweiss, said. Dabur, Emami, Bajaj Corp, GSK Consumer, Asian Paints, and GCPL also posted good volume growth - between 6 per cent and 12 per cent in Q4 - as many of these firms gained from a rural uptick, sector analysts said. Nestle, on the other hand, saw an overall top line growth come in at 10.5 per cent in Q4 (it did not specify volume growth figures for the March quarter), led by product launches and aggression in the market place. Most of these companies also saw operating margins expand between 200 and 300 basis points for the March quarter as most reined in advertising and sales promotion expenditure and worked on improving efficiencies. 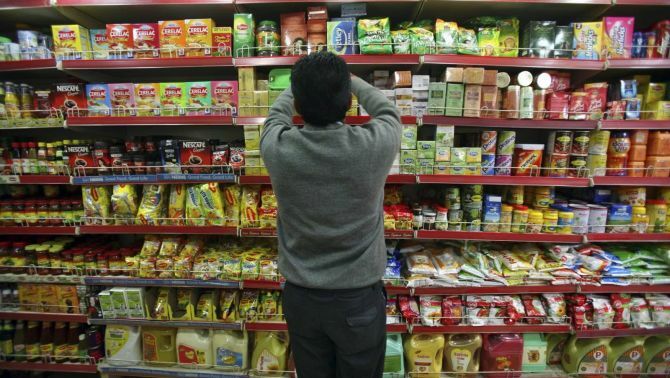 "Managing risks and cost efficiencies," said Sunil Duggal, chief executive officer, Dabur India, "has been critical in improving our margin profile." Dabur's operating margins touched 23.9 per cent for the March quarter, a year-on-year improvement of 210 basis points. While companies have also benefitted from lower goods & services tax rates (down to 18 per cent from 28 per cent), cutting product prices and passing them on quickly to consumers, challenges lie ahead, experts said. The biggest of this is crude oil's sustained rally - it is nearing $80 a barrel - stoking inflationary pressures and consequent price hikes in the sector. On Monday, HUL flagged these concerns, saying that rising input costs and competitive intensity were key watch-outs. "These are signs of worry, but pricing action would be taken judiciously," Sanjiv Mehta, MD & CEO, HUL said. Dabur and other companies have already said that decision on price hikes would be taken depending on how steep input cost pressures were. Sachin Bobade, senior research analyst at brokerage Dolat Capital, says that rural-focused companies had better scope of growing in the coming quarters, owing to the effort the government was putting to alleviate rural distress. "Over the next two years, there is a positive bias for companies that have exposure to rural markets. Firstly, sales growth will be coming off a low base. "Second, the government will work harder to put money in the hands of people in the rural areas in the run-up to the general elections next year," he said. A recent report by ratings agency Crisil had said that a revival in rural demand as well as new product launches would push up revenue growth of consumer good companies by 300-400 basis points in 2018-19. This improvement in revenue growth, Crisil said, would positively impact operating performance as well as benefit credit profiles of firms.